Nor are we advocating the other extreme of believing everything that appears in the media. Hype is hype, wherever it comes from. Instead let’s take a step back and put things into a little more perspective. Take the 2009 Swine Flu outbreak as an example. Figures released by the World Health Organisation in 2012 gave 18,449 confirmed deaths from Swine Flu worldwide in 2009. This number is thought to be below the true total, as many people who died of Flu related causes were not tested for Swine Flu. The US Centres for Disease Control and Prevention estimate was higher at 284,000. Whichever figures you believe, in no way did they match the dire predictions made at the time. To put these figures into a slightly different perspective, each year about 500,000 people worldwide die of seasonal Flu, of which 40,000 are in the USA and 12,000 in the UK. Why then is there so much hype about a pandemic sweeping the globe? Ironically, it seems that this may come from the World Health Organisation itself. History has shown that there is a pandemic – usually Flu – three or four times a century, although there isn’t a regular pattern to them. With 2005 / 2006 having been estimated as the next likely date, there seems to be the feeling that “we’re overdue for a pandemic” hence the hyper vigilance of health authorities and the media. 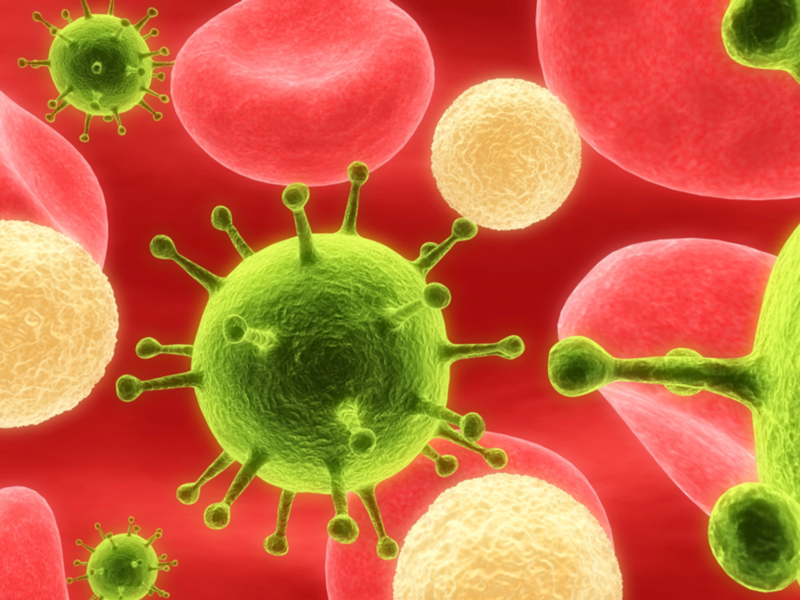 Now that we’ve put things into perspective, let’s take a quick look at contagious diseases generally. Whether it be Coughs and Colds – or something more serious – the common belief seems to be that they are “lurking out there” ready to pounce on you should you come into contact with them. But is this really true? Go into any public place and you’ll come into contact with people with all sorts of contagious diseases, ranging from the minor to the more serious. If you’re unlucky, they’ll be right next to you on the plane, train, bus or in the cinema. So does this mean that you’ll then go on to have the same illness as them? Occasionally “yes”. Most times “no”. You’ve probably never stopped to think about this and why it should be so. It’s all down to susceptibility. If you’re susceptible, you’ll go on to develop that bug. If you’re not, then you won’t. It’s as simple as that. How come no one ever talks about susceptibility then? Good question. Our answer would be that it’s all about how you look after yourself on a day to day basis, rather than relying on “quick fixes” should the worst happen. It’s proactive, rather than reactive. Taking responsibility for your own health. The more cynical might say that, as there’s no money to be made in encouraging people to look after their health, then it’s unlikely to be mentioned. Illness, after all, is big business these days … If you’re in any doubt, look no further than the huge supplies of vaccines developed for Swine Flu, which were stock piled across the globe. • Keep things in perspective. Don’t believe everything in the media. Go and do a little research for yourself. • Stress, in all its forms, quickly depletes the Immune System making you more susceptible to any illness. Worry and fear, in particular, increase levels of adrenaline quickly draining your body of its resources and nutrients. That’s why it’s so important to reduce your stress levels. • Take regular time out to recharge your batteries and clear your head. • Regular exercise helps reduce stress, boosts “feel good” hormones and encourages lymphatic drainage and detoxing. • Make sure you’ve getting sufficient sleep. If you’re not feeling refreshed in the morning, you’re not getting enough sleep! It’s also important to make sure that your bedroom is dark, as darkness is needed to help set your circadian rhythms and balance hormones. • Eat a wholefood diet with plenty of fruit and vegetables. • Drink at least 2 litres of water each day, keeping tea, coffee and alcohol to a minimum. • Support your Immune System with a good quality multi vitamin and mineral supplement each day. Echinacea, garlic and Vitamin C can also be considered. We know this perspective – and our common sense approach – may feel rather uncomfortable for some people at first, but why not try it for size? You never know, you may feel the benefit of it sooner than you think!